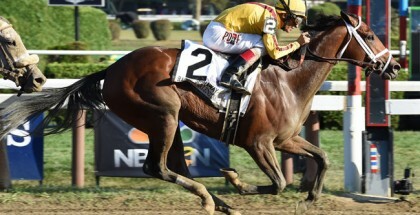 Tips on Saratoga Maiden Races from Andy Serling: Two-year-old maiden races often confuse bettors, especially beginners, because there is little prior form to study. Even the most experienced gamblers shy away without seeing any running lines and speed figures. Because racing fans are lost when analyzing baby races, this can be a good opportunity to get ahead. 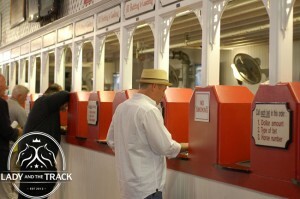 Saratoga Race Course begins their prestigious summer meet this week, and New York Racing Association (NYRA) analyst Andy Serling offered a few tips for the average handicapper to improve their selection process with inexperienced maidens. For one, studying trainer patterns is a good idea. It is well known that Todd Pletcher’s two-year-old horses generally fire big races early in their careers, although the specific reason for his success may not be clear to the public. Serling provided insight into Pletcher and his training methods with young horses. 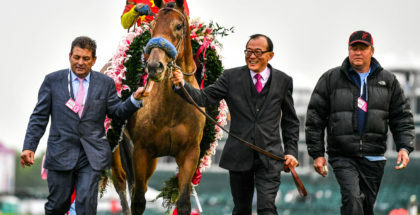 “Regardless of their frequent short prices, Pletcher firsters will frequently be very tough to beat, as they have been training in company, so they enter these races as first time starters in name only, so to speak, as they already have the experience of several starts,” Serling explained. Taking a short price means risking money for less profit though. But, despite Pletcher’s high statistics with maiden races, he does lose some of them. The tote board will offer clues on when another trainer is live. Why? When a first time starter is well-prepared, word gets out because the connections and morning clockers watch how the horse trains. A patient person might wait until a first time starter under a low-key barn takes significant action even though the race contains runners from Pletcher’s stable. “This doesn’t mean these horses have to be 8:5 or 2:1, as more obscure trainers may be very live at 6:1,” Serling pointed out. Serling also warned against being fascinated with fast workouts, at least not without giving the horse a bit more analysis beyond the raw times of those works. Everyone wants to see bullet workouts on the tab, and those kinds of horses gain attention because they think fast workouts translate into good performances. At times (not always), this logic leaves bettors disappointed. “Unless you see workouts, or have a reliable source that does, times can be deceptive. I would be more interested in frequency and consistency than actual times,” Serling wrote. 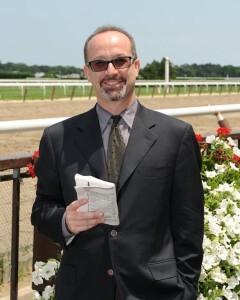 He also gave his thoughts on another theory instilled in handicappers’ minds. Bettors are afraid of taking inexperienced horses breaking from the rail, as they might become shuffled out of the gate or take dirt kickback. But, Serling would not necessarily discount a maiden from the inside. He does acknowledge one drawback. “To me, having the rail can force a horse’s hand, so to speak, as he/she has to be used more for position, as opposed to an outside post that allows the rider more options. This can be a problem for any horse, experienced or not,” Serling explained. The discussion with Serling did not go into the pedigree realm. Just know that at Saratoga, horses making their career debuts are sired by high-profile stallions. Knowing they come from the most popular families is a blessing, as the sire patterns are easier to remember. At a smaller racetrack, such as Mountaineer in West Virginia, maiden races are difficult for non-regulars because of the lesser-known pedigrees, and the higher frequency of obscure trainers. From a fan standpoint, following the maidens at Saratoga is fun because a couple of these might compete in the Kentucky Derby (GI) at Churchill Downs next spring. In 2012, future Derby champion Orb was an awkward maiden that broke slowly and finished a late-closing third. Picking out that kind of horse, and watching him develop as time goes on, is a rewarding experience and part of the meet’s magic.